In a week that has already left me disheartened over the state of race in America today, the last thing I really needed was to read the details of the prosecution’s case against Peter Liang. The trial against NYPD officer Peter Liang, who fatally shot Akai Gurley late last year in a darkened stairwell of the Louis H. Pink public housing building, began this week with Judge Danny K. Chun denying the defense’s motions to have the charges dismissed. Liang is charged with six counts, including manslaughter in the second degree, reckless endangerment, and official misconduct. Revealing for the first time a number of details in the circumstances surrounding Akai Gurley’s death, the New York State District Attorney’s Office unsealed a document outlining the case against Liang. To read the 57-page document is illuminating, and it weakens the argument made by some that Officer Liang’s indictment is an instance of racially motivated scapegoating. Indeed, the prosecution meticulously outlines a series of reckless violations of police protocol by Liang and his partner Officer Shaun Landau in the minutes leading up to Akai Gurley’s shooting at approximately 11pm on November 20, 2014, and Gurley’s death an hour later. 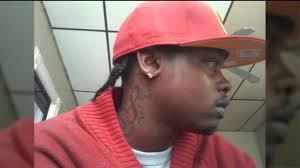 The charges against Liang can loosely be grouped into two categories: 1) the misconduct, reckless endangerment and manslaughter charges associated with the moments before Akai Gurley was shot; and 2) the misconduct charges associated with how Liang and Landau proceeded immediately after discovering Akai Gurley, bleeding out from a gunshot wound by Liang’s service weapon. According to the prosecution’s timeline, Liang and Landau were on the top-most 8th floor of the Louis H. Pink Houses at approximately 11pm, when they decided to conduct a vertical patrol of the darkened Stairwell A. Liang unholstered his service pistol and held it along with a flashlight as he pushed his way into the top stairwell. According to Landau, Liang entered the stairwell, turned left, and shot into the darkness. Also at 11pm, Akai Gurley and his girlfriend, Melissa Butler, decided to take the stairwell down from Butler’s apartment on the seventh floor of the building. Upon entering the stairs, they heard a gunshot fire and immediately took off running down the stairwell. They made it two flights before Gurley collapsed on the landing of the fifth floor, unresponsive from a single gunshot wound to the chest. The prosecution does not dispute the likelihood that Liang did not intend to shoot Akai Gurley that night. Indeed, a forensic ballistics expert discovered a ricochet mark on the wall by the 7th floor landing of Stairwell A, suggesting that Liang is either an exceptionally poor shot, or the shooting of Akai Gurley was not intentional. However — and this is important — a person is guilty of manslaughter if they act recklessly in a manner that significantly increases the risk of death for others, even if the person did not intend to cause death. 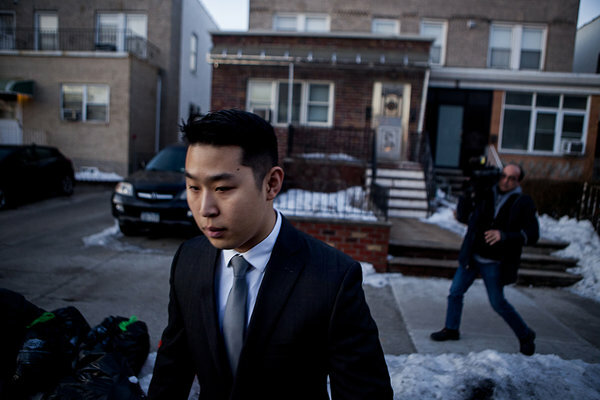 Within minutes of shooting Akai Gurley, Peter Liang insisted that his firearm discharged accidentally. He has maintained this “accident” defense in the months since. However, the prosecution argues that regardless of Liang’s intent, he acted recklessly and in direct violation of his own training at the police academy in how he handled his service weapon; that recklessness, the prosecution contends, significantly increased the risk of injury or death to nearby civilians. Standard police training requires that police place their trigger finger alongside the frame of the gun, and off the trigger, whenever they unholster their weapon in order to prevent an accidental discharge. Yet, if Liang entered the darkened stairwell and fired his gun, his finger must have been inside the trigger guard despite a lack of a legitimate reason to discharge it. Furthermore, all police service weapons have their triggers weighted to increase the force required to discharge the gun. This is also to reduce accidental discharges by requiring deliberate force to pull the trigger. Guns sold by manufacturers require about 5 lbs of force, but most police service weapons require 7-12 lbs of force. An expert witness found that Liang’s service weapon required 11.5 pounds of force, which is considered a particularly heavy trigger force. This further reduces the likelihood of accidental discharge. Defendant may have placed his finger on the trigger because he felt unsafe in the unlit stairwell, or because he was being careless that day. But placing a finger on the trigger of a gun in the stairwell of a residential apartment building, when there was no reason to discharge the weapon, was contrary to everything that defendant had been taught about the safe handling of a loaded firearm. On this basis alone, the grand jury could have concluded that defendant created a substantial and unjustifiable risk of death and serious physical injury, even if the grand jury also believed that defendant did not intend to fire the gun. Upon firing the shot that killed Akai Gurley, Liang and Landau additionally committed a series of protocol violations that further contributed to the recklessness of the situation and that deprived Gurley of needed medical attention as he lay dying. Both had recently graduated from the police academy, where these regulations were repeatedly emphasized to them. Police are required to immediately notify a supervising officer in the event of a serious incident that occurs during a routine patrol: both a firearms discharge (whether or not a person is wounded) or a shooting qualify. Yet, for at least two minutes after Liang fired into the darkened stairwell (and despite Landau’s testimony that they heard footsteps after Liang discharged his weapon), Liang and Landau stayed on the eighth floor and argued over whether they should report the incident. Instead of reporting the discharge and seeking out possible victims, Liang was reportedly concerned that he would be fired should anyone find out about the gunshot. Ultimately, neither called their supervisor. Then, for an unspecified period of time, Liang and Landau re-entered the stairwell looking for a bullet hole in the wall. It was then that they discovered a bleeding Gurley on the fifth floor landing, with Butler attempting to provide medical attention. Butler had solicited a fifth floor neighbour to call 911. The call was received at 11:14, approximately 10-15 minutes after the shooting. Although she was not trained in CPR, Butler was performing resuscitation efforts on Gurley with the 911 operator’s guidance when both were found by Liang and Landau. The prosecution argues that police receive seven hours of training in field medicine, and an additional seven hours of training specifically in CPR. Candidates must demonstrate practical knowledge of these skills to graduate from the Academy. Police are also obligated by training and ethics to provide medical attention to wounded victims, to immediately call for an ambulance if necessary, and to stay with the victim for as long as it is safe to do so. Yet, the prosecution says that Officers Liang and Landau ignored their training. Instead, they stepped over a dying Akai Gurley, and walked down one more flight of stairs to speak with the neighbour on the phone with 911, leaving an untrained civilian to perform CPR on a bleeding victim. Only at 11:19, nearly twenty minutes after Liang fired at Akai Gurley and after other officers were already en route to the scene, did Landau report the shooting on his radio. Neither Liang nor Landau ever called for an ambulance. Only after additional police arrived on the scene did someone trained in CPR actually administer any sort of medical attention to Akai Gurley, twenty minutes after the shooting. Only then was an ambulance called for by police. Yet, two officers — both aware of police protocol, and both extensively trained in CPR — had been on scene for the entire time. In the wake of the shooting, Peter Liang was more worried about losing his job than he was concerned about Akai Gurley losing his life. 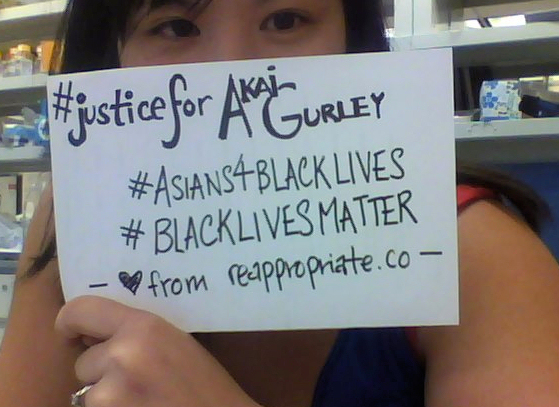 It doesn’t matter whether or not Peter Liang intended to shoot Akai Gurley. It doesn’t matter whether or not Liang was poorly-trained, or afraid, or just plain incompetent. What matters is this: police officers are empowered with service weapons in order to carry out their duty, and they undergo rigorous training and must abide by strict protocols to wield that power responsibly. Peter Liang had all the training he needed to not shoot Akai Gurley (and to provide medical attention in the event he was shot). Yet, according to prosecutors, when Peter Liang ignored that training on the eve of November 20, 2014, he put all of the residents of Louis H. Pink in harm’s way; and it was Akai Gurley who paid the price for Peter Liang’s recklessness. As we would expect for anyone whose actions lead to the death of another human being, Peter Liang must be held accountable for his actions. The criminal justice system should exist at least in part to check police power, and to watch our watchmen. It is senseless to argue that Peter Liang should escape the scrutiny of the judicial system in this shooting. Being Asian American is not — and should never be — a free pass to shoot Black men with impunity.